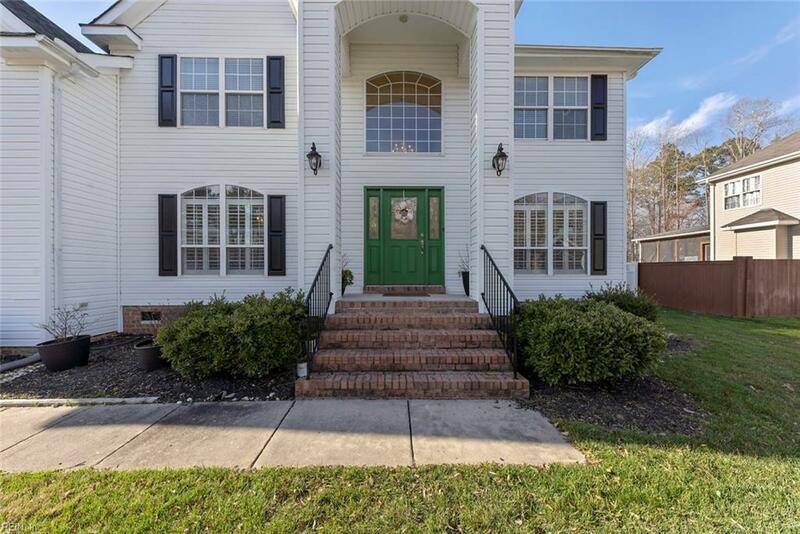 3820 River Oak Cir, Virginia Beach, VA 23456 (#10244660) :: Abbitt Realty Co. Exceptional home w/dramatic open spaces & floor to ceiling windows inviting an abundance of natural light throughout. 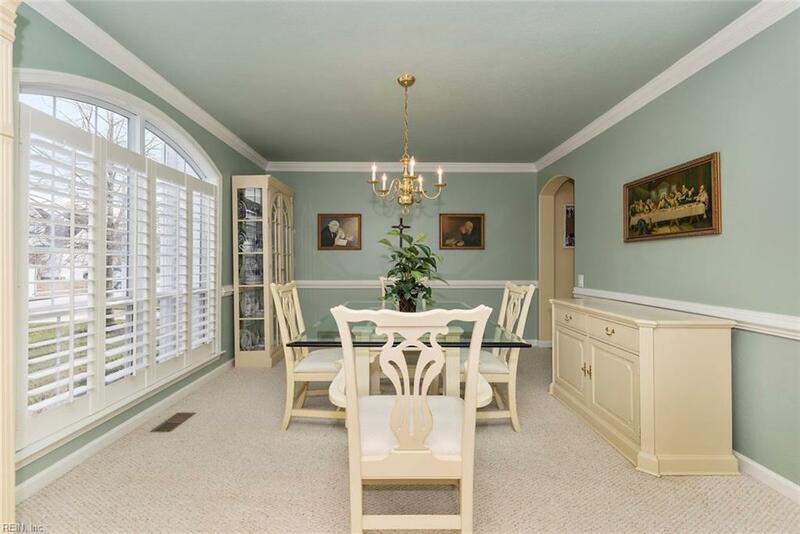 Huge great room w/beautiful built-ins & gas fireplace accented by a brick surround. 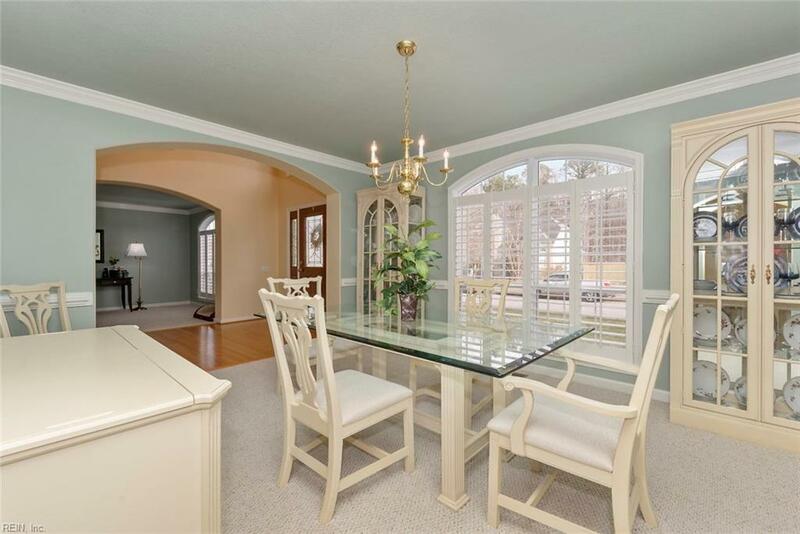 Open concept kitchen w/solid surface counters & new stainless appliances. Great cabinet space, pantry & breakfast area. Just off the kitchen, you may also enjoy morning coffee on the screened porch overlooking the private backyard backing to the protected woodland area. The master retreat is the only way to describe this spacious bedroom w/separate sitting room/office, high ceilings, awesome luxury bathroom & enormous his & hers closets. All other bedrooms are spacious including downstairs bedroom w/access to full bath as well as a junior suite upstairs w/private bath & mini walk-in closet. Enjoy summer fun in the inground saltwater pool w/newer fully automated equipment. Big, private backyard & large patio area further enhance this wonderful backyard. Come see today!